On May 15, 1966, Filipino-Chinese sisters Milagros Yee and Clarita Go along with their sister-in-law Doris Wilson Leelin opened Goldilocks, a small bakeshop, along Pasong Tamo in Makati. At that time, the shop only had two cake displays and 10 employees. Every product was made from the family’s home kitchen and were sold out every day. 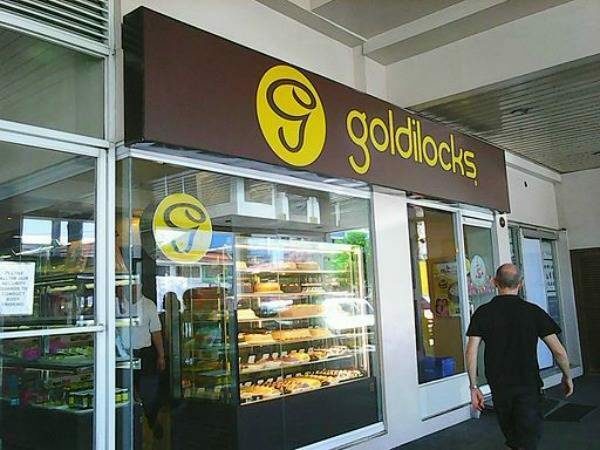 When the franchising system boomed in the Philippines, hundreds of Goldilocks stores sprouted throughout Metro Manila. Through the years, the name Goldilocks became a household name. Several decades later, the small bakeshop, rooted in the famous fairy tale character Goldilocks, became the most famous bakeshop in the Philippines. Fifty years later, the humble bakeshop which provided unique, quality baked goods and Filipino meals has at least 400 full-service stores in the country, 3 in Vancouver, Canada and 12 in California, United States. According to Louie C. Ortiz-Luis, managing store director and Group retail president of Goldilocks, the food company’s main goal is to serve families in the community. “We sell a wide range of delicious desserts, snack foods, and quality breads. We want to provide Filipino meals around the world for all occasions,” Ortiz-Luis told ASIAN JOURNAL. During the Franchise Asia Philippines 2013 International Conference held at the SMX Convention Center in July 2013, Goldilocks operations head Franklin L. Go revealed the 7 secrets to success of the bakeshop giant. According to Go, passion, luck, quality, brand integrity, hard work, good customer service, and loyal employees are the things that catapulted Goldilocks to success.